This week's challenge was Gift Day! 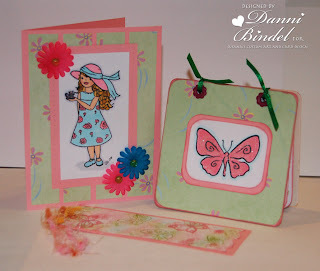 We were to create a card and two gifts with stamps and supplies from Susana's store. Be sure to check out the store blog, Follow Your Heart, to see what the other talented design team members came up with! I think I made this much harder than it needed to be. I thought and thought and agonized over this. Even told Susana and Suzanne I didn't think I'd participate this week but then I realized I was being silly and sat down and this is what I came up with. 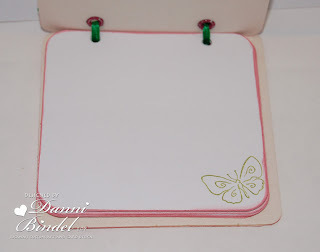 On the card I cut out the teeny butterfly and popped it up on a little pop dot. 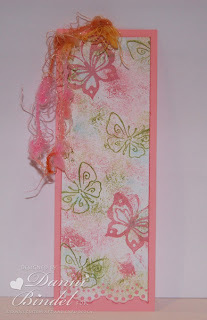 On the bookmark I used the Crinkled Chalk Technique. This is a lovely set. The colors are perfect for spring. What a great set! I think you did an awesome job with it!! Danni these are too cute! 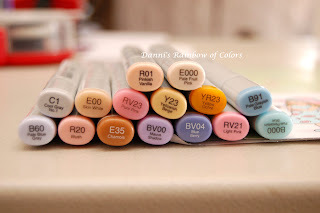 You did a nice job, I love the crinkle chalk look:-) I haven't tryed it yet, heheh but I will! the colors are really nice and image really cute! Danni, great gifts. I love your card. Very pretty. I will have to get some butterflies so I can participate sometime. Love it! WOW! All three are just beautiful! Great job! What an adorable set! 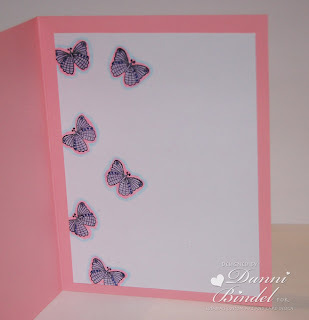 Love the butterflies and the inside of your card. You always do those so well! Very cute. Love the raised butterfly. Awesome set Danni! I'm glad you decided to just go ahead an do it! I really love those butterflies! Wow these are adorable. Love those colors. Wow on all three projects so so so super cute I love them!!! 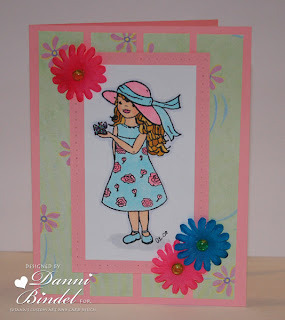 Great job and I love the colors you choose and the creativity is so pretty!!! 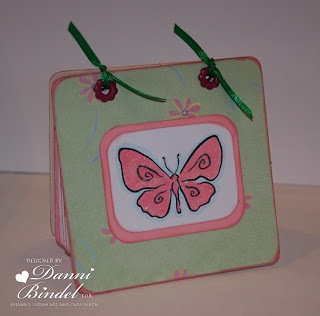 I love the Butterfly book mark very much!!! Hey Danni! I think your gifts are perfect! Love how they match so nicely. Coordinated gifts are so fun to receive and to make too! Lovely job coloring the images as always. The color combo is fantastic. Awesome job on the challenge!! 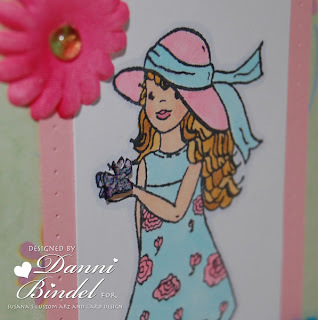 Lovely spring set Danni!! As always love the outsides and insides!! TFS! Blessings and hugs!! You've really done a fantastic job on today's TIOT. What a wonderful gift to give someone...and in such wonderful spring colors. AWESOME! Beautiful work, love your coloring. This is a great gift!! Cute, cute, cute! Love them all! What a gorgeous gift set, Danni, you did a fantastic job. So bright and cheery. These are gorgeous Danni!! They are so bright and cheery!! Great coloring!! Very cute!! You did a fantastic job with the challenge! I loooooove the bookmark best! You did a great job with this set. all those pretty flutter bys!